Microsoft has released Windows Internet Explorer 8 MUI Packs for 32-bit and 64-bit editions of Windows XP and Windows Server 2003. They allow Windows XP and Windows 2003 users to add different interface languages to Internet Explorer 8. While it has been mainly designed for corporations who operate worldwide, it can also be used on smaller networks to install and support different interface languages. Please note that this solution is not intended for home computer systems, home users are encouraged to download Internet Explorer for their language from the official Microsoft website. Update: Microsoft has pulled the downloads from its servers. 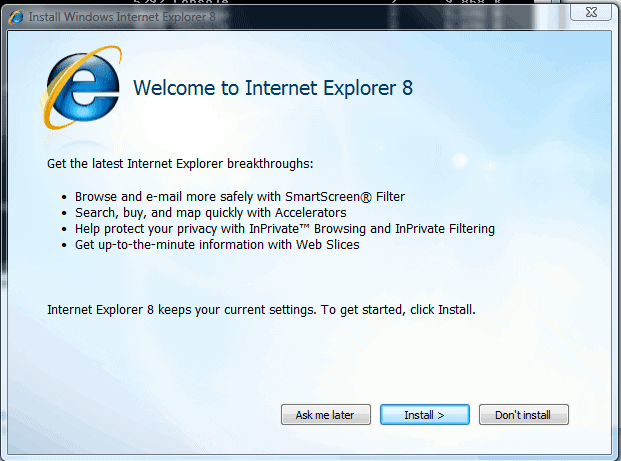 You can still download the Internet Explorer 8 MUI packs from third-party download portals such as Softpedia. The release increases the languages that Internet Explorer is available in by 18. Note that these languages are available for Internet Explorer on Windows XP, Vista and Windows Server. Also note that Windows Vista users can download and install Internet Explorer 9 instead, the latest version available for the operating system which ships with a similar set of supported interface languages. On systems that have the OS MUI pack installed, it is necessary to install the English version of the web browser first before the MUI pack for it is installed on the system. Another requirement is that the OS MUI language for the language that you want to use Internet Explorer 8 in is installed as well.